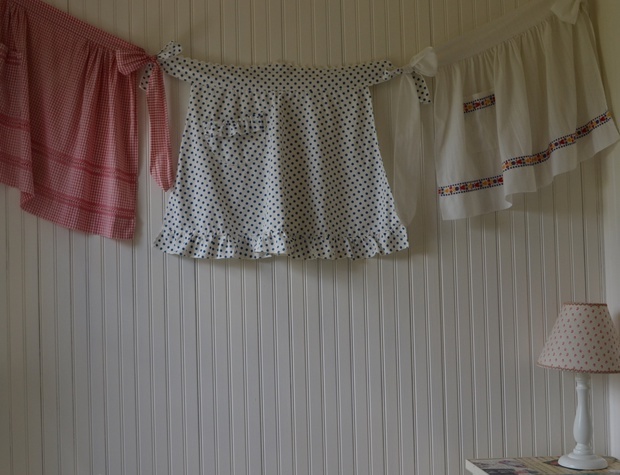 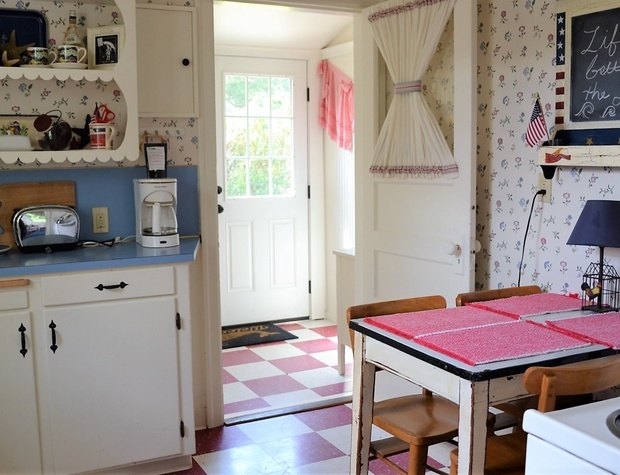 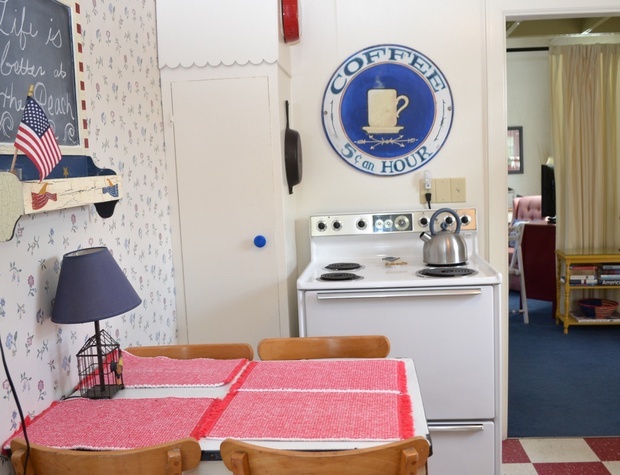 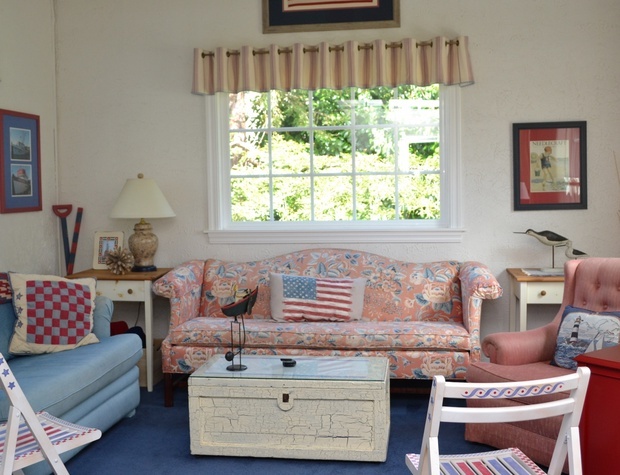 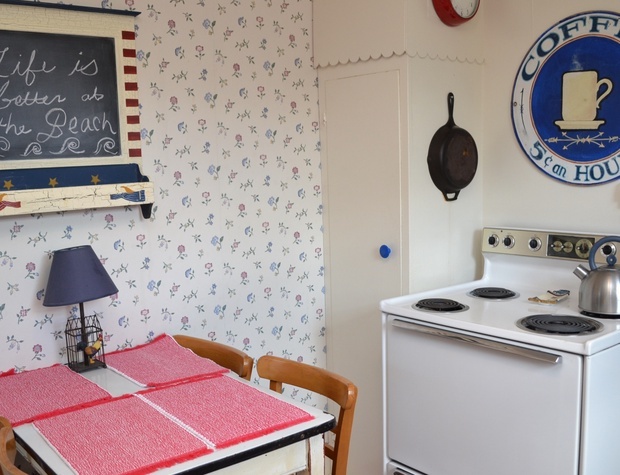 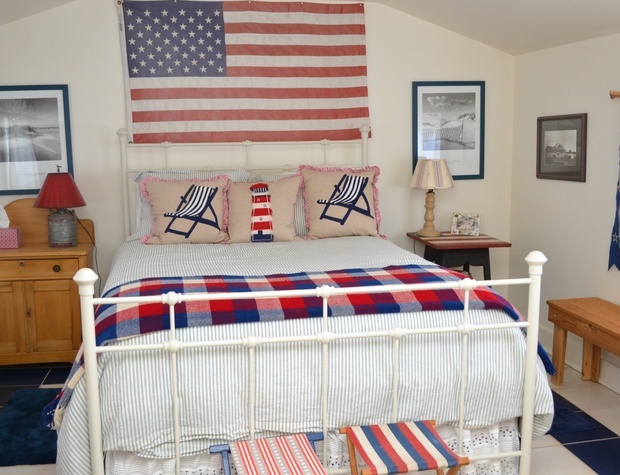 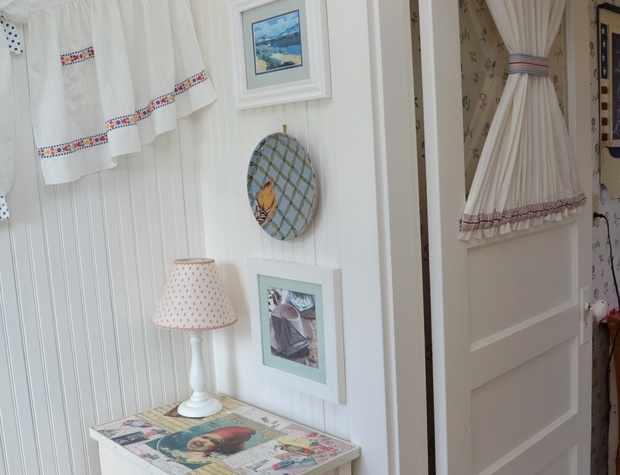 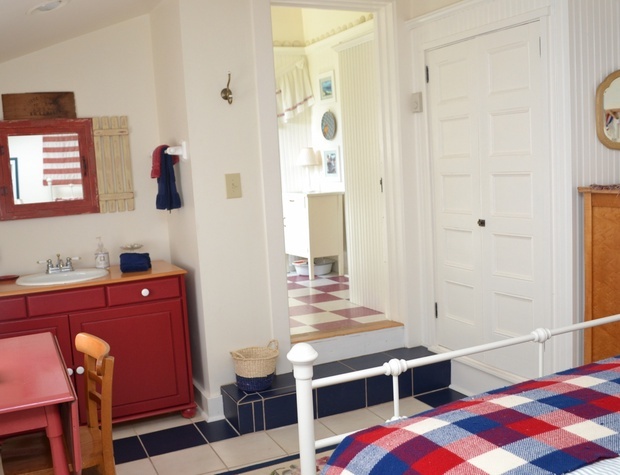 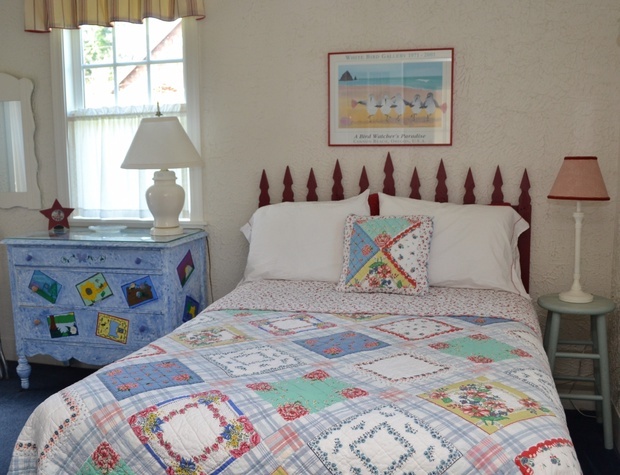 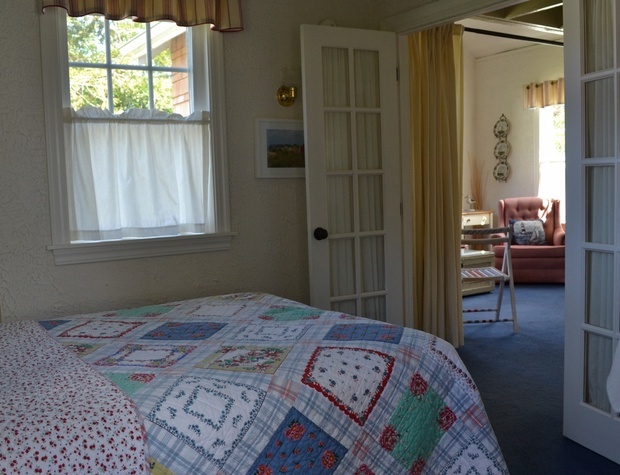 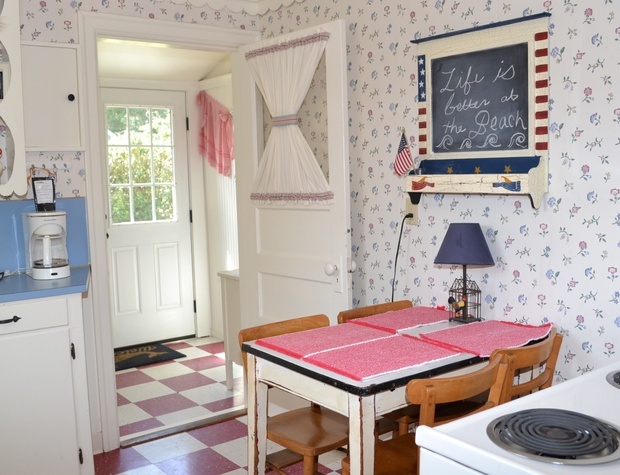 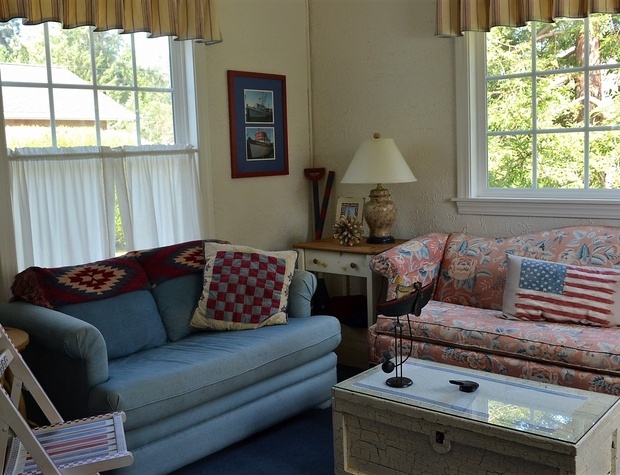 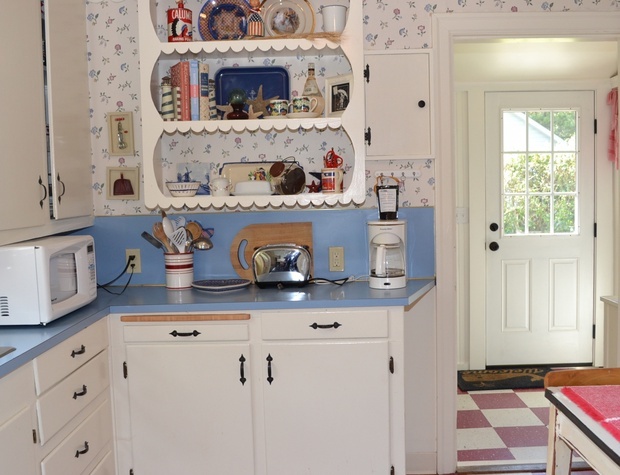 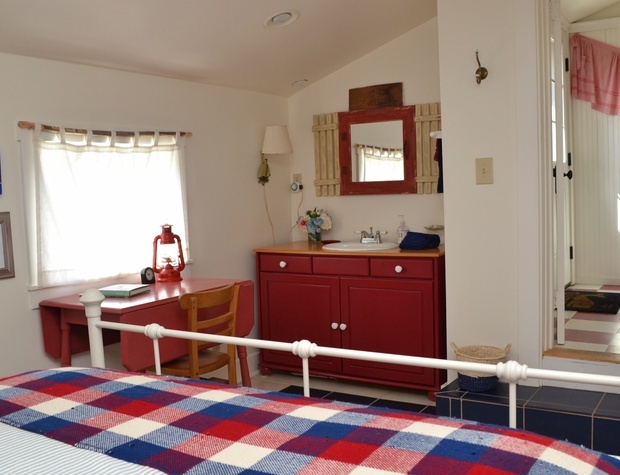 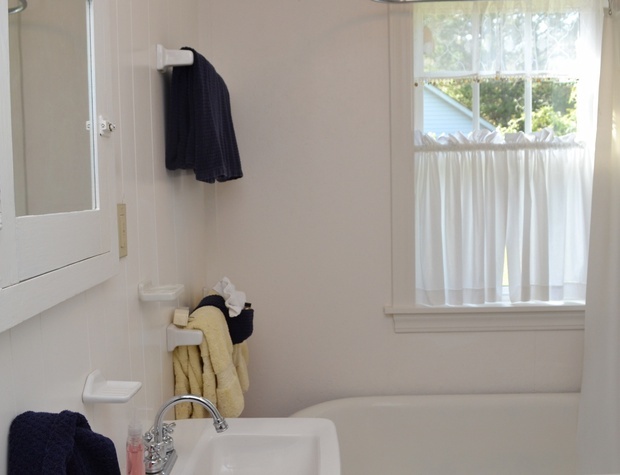 Charming cottage with Americana themes throughout is perfect for a quiet beach getaway. 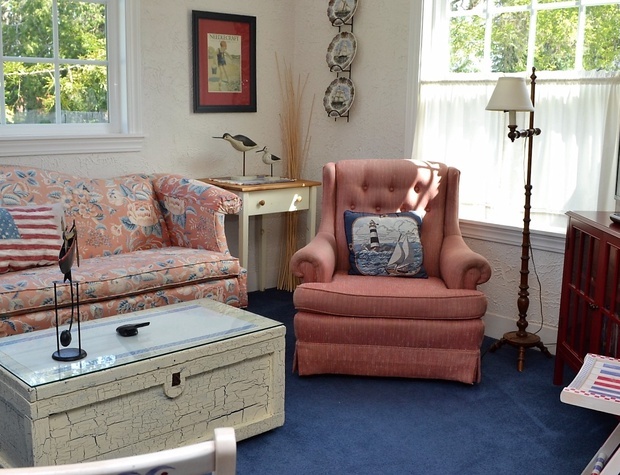 Living room has cozy seating and includes a twin sleeper sofa. 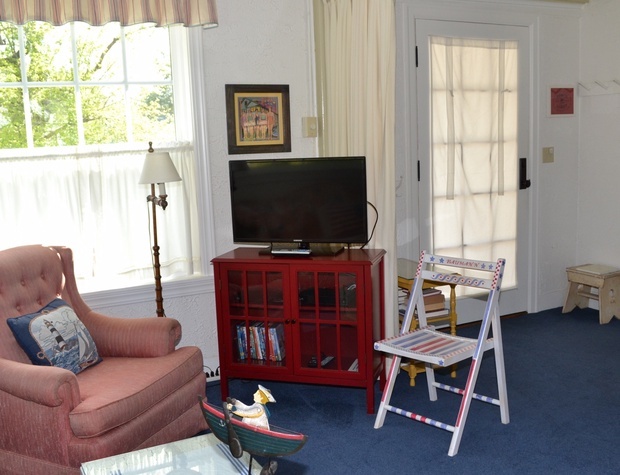 Flat screen TV in living room with basic cable service and BluRay DVD. 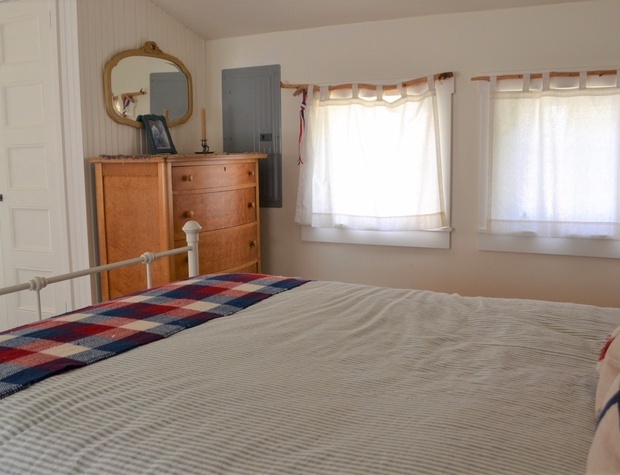 The main bedroom has Queen bed and 2nd bedroom has a Double. 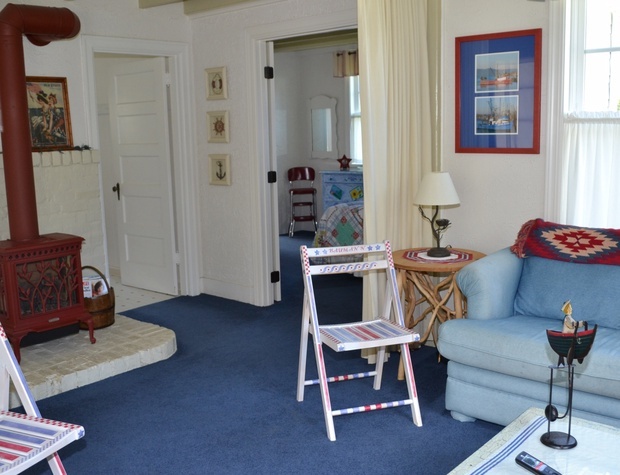 The yard has plenty of room for kids to run and play, or simply sit and relax on outdoor chairs. 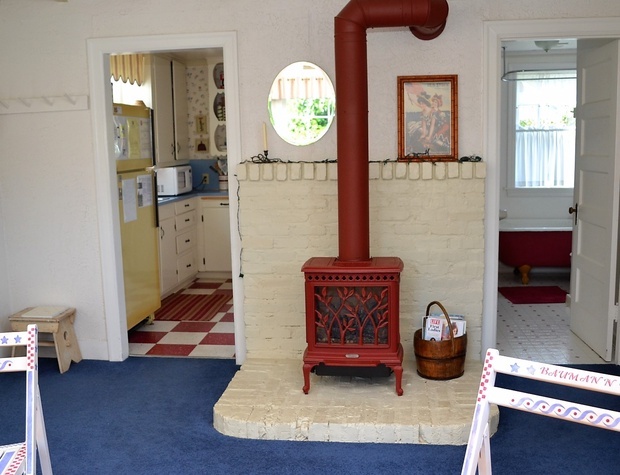 At night you can roast marshmallows in the firepit (check with Fire Dept re: any burn bans). 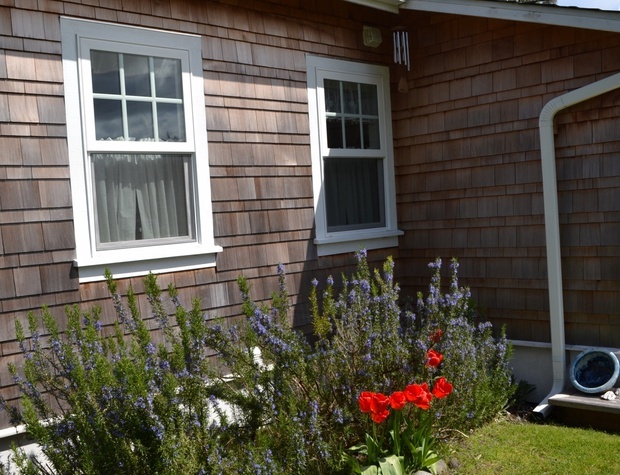 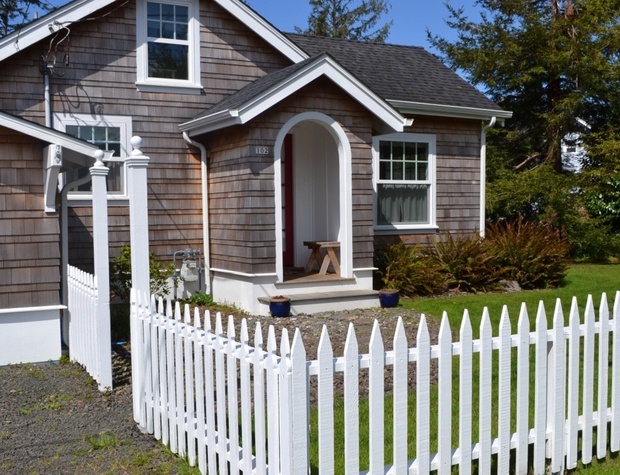 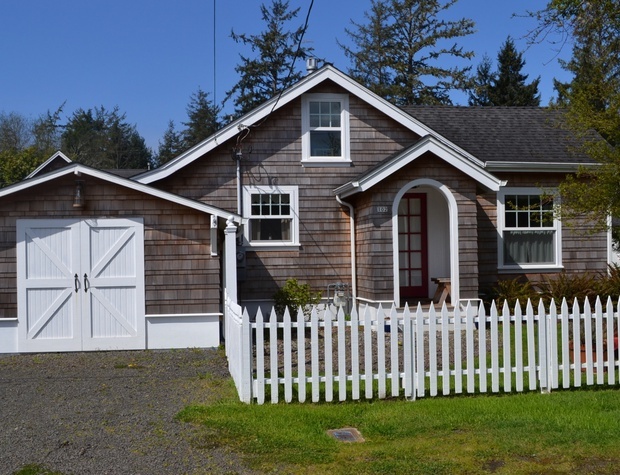 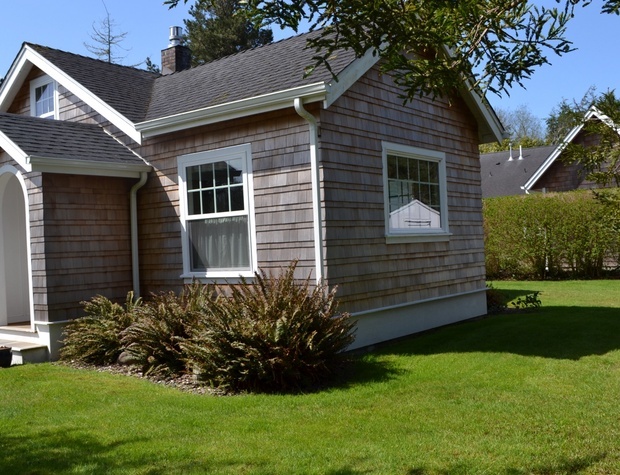 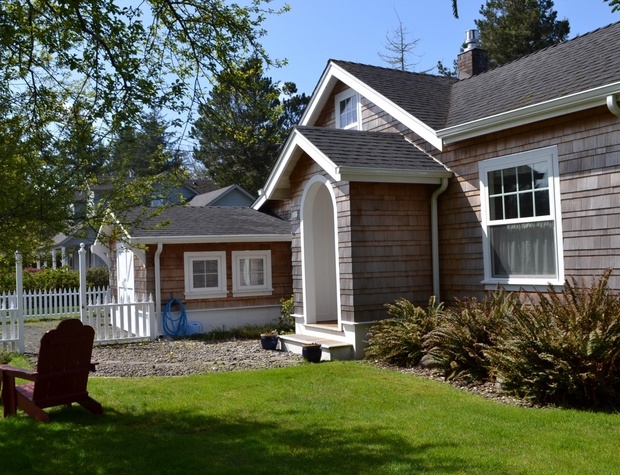 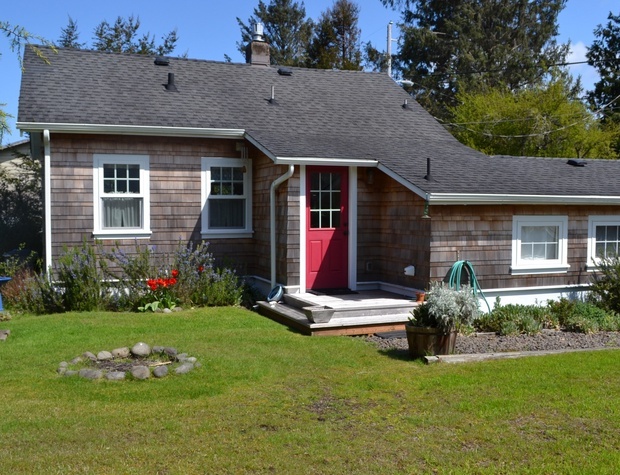 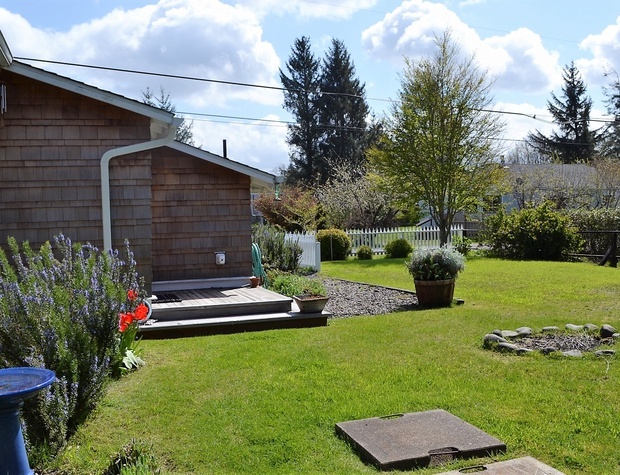 Close to elementary school, Gearhart Crossing, Pacific Way Cafe, and only 1/2 mile to the beach, this is truly a very sweet cottage on a quiet street. 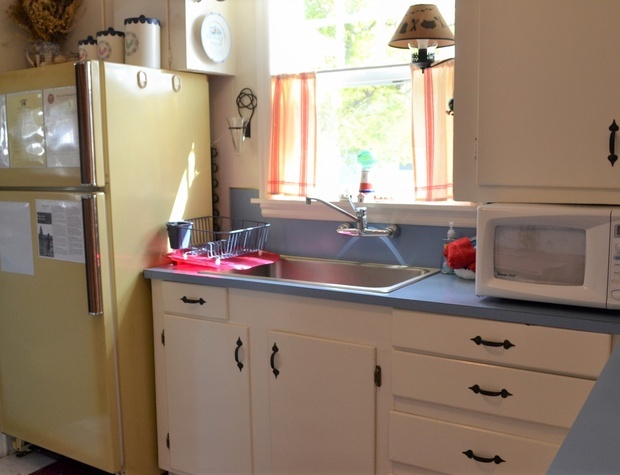 Washer/Dryer has since been added (for those who remember staying in this adorable cottage, previously) Parking for 2 cars in driveway, 1 or 2 on the street.